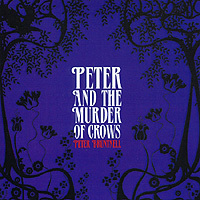 mwe3.com: Is there a cool story behind the Peter And The Murder Of Crows album? PB: A cool story, not really, I did at first want that name for the band for this album but it would have made it difficult to get it into the shops, so it became the album title instead. mwe3.com: How does this album compare to your last albums and have all your albums come out in the U.S. too, as I remember Ends Of The Earth in 2002 and then I lost track of you. Also how did you end up working with New Folk? It sounds like a great label. PB: I wanted to make a record that was more in touch with my location, i.e. English. It also coincided with my acquisition of a computer, pro-tools and reason, which gave me the freedom to experiment with strings and other instruments. This was different from previous recording sessions as ideas can be quickly tried out and then if need be I could get a real cello player etc... This is the third album to be released in the U.S. the first being, Normal For Bridgewater, then Ends Of The Earth. I came to be on New Folk due to my manager in the U.S. having strong ties with them. mwe3.com: I heard Syd Barrett and Bert Jansch impacted your singing and song writing. How do feel your influences affect your music writing and playing style? PB: I'm not sure if I was actually using those artists as an influence other than the fact that they are both British and I like what they have produced. I still listened to Neil Young's first album as a reference along with a bunch of other stuff including the Beatles during the mixing stage. mwe3.com: Do you feel you were born into a particular musical era that you grew up in? I heard you were born in January '64, same year as the Beatles invasion. I was 9 when I saw the Beatles in February 1964 on Ed Sullivan here in NYC. PB: I was born, this much is true. I suppose one could look at it and argue that being born then meant I grew up listening to the Beatles, Elvis and then T. Rex , Slade and Thin Lizzy , which to me is better than growing up with Justin Timberlake etc..., but I would say that wouldn't I, bloody true though isn't it? mwe3.com: Can you say something about where you're living these days? PB: I live in a tiny village on the sea. Mostly I love it but it gets bleak in January and February. I do a lot of fishing and spear fishing. mwe3.com: What guitars did you use to record the Peter And The Murder Of Crows album? Any other favorite guitars or new gear that you can mention? 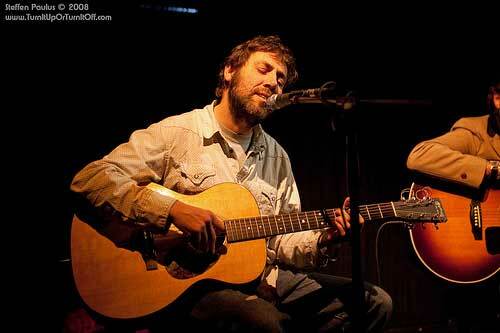 PB: I used a couple of acoustics, a Martin OM 16GT (orchestra model 16, gloss top) and an old Guild M20. We also had an electric sitar, Indian harmonium, and my locally made Valvepower guitar amp. I have recently got a reissue Fender Jazzmaster which I love. It's on a lot of the new record I am just finishing. mwe3.com: Are you doing any live shows or other things to support the album and who is in your band? PB: I did a tour of the U.K. last year with a three piece band, Danny Williams and Dave Little, and have been playing a fair bit this year, just bits and pieces. 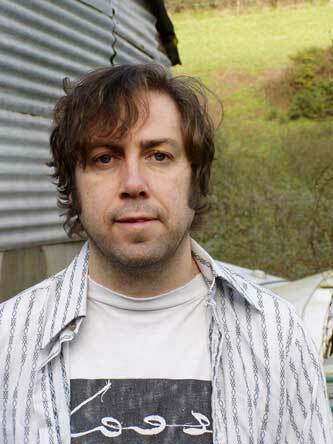 I have been employing, of late, my old guitar player James Walbourne, who has been playing with The Pretenders and Son Volt, which has been great fun. Also James's brother Rob Walbourne has been on drums this year. mwe3.com: How about upcoming musical plans and recording plans or anything you'd like to add? PB: Working on a new one, out by January 2011. More of the same with drums and a few pop songs. I also made a movie while on tour with Son Volt last year. It's called American Fairy Burger but as yet only available from myself at gigs, however when the new record comes out , I will try to include it then.